New Zealand's Hottest Home Baker has just started again on TV. I don't watch a lot of TV, and hardly any reality TV, but this show really appeals to me (along with Project Runway of course!). I decided this year that I would play along and try to follow the challenges at home each week, which would give me an excuse to bake more and maybe try some new recipes. 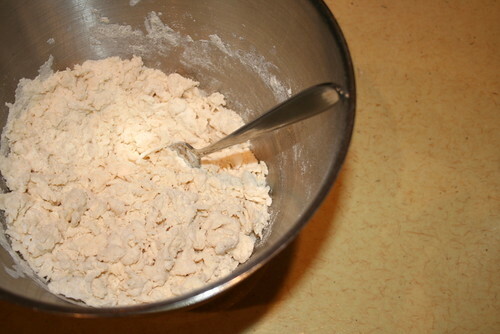 The first episode challenge was to bake a sweet or savoury dish in 90 minutes. Each contestant randomly chose a sweet or savoury card, but I decided to opt for savoury since I always bake sweet dishes. 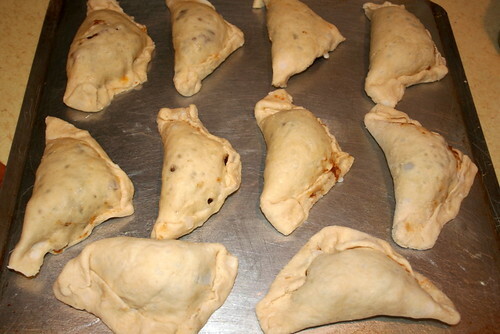 I was inspired by one of the contestants to try Empanadas, something I'd never baked before. 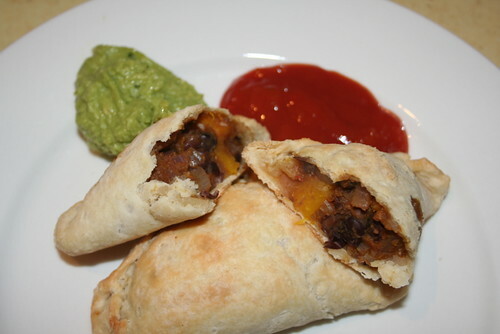 After some research, I decided on Roasted Acorn Squash and Black Bean Empanadas from the Veganomicon, transcribed here. 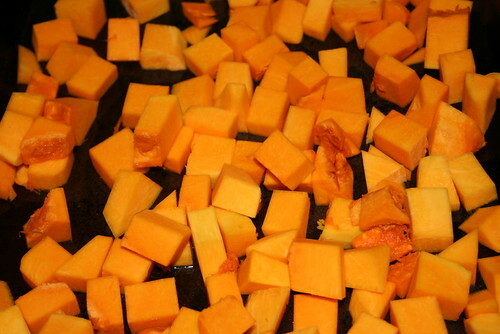 I subbed Crown pumpkin for Acorn Squash, but followed the rest of the recipe pretty closely, except that I cut in the vegetable shortening using my food processor. They took me longer than 90 minutes, so I failed on the time limit rule. But my impartial judge (Alex) declared them delicious and devoured them for dinner. 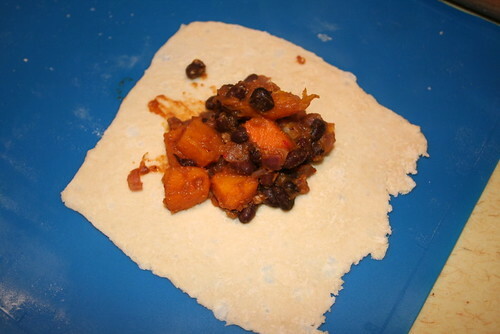 I have to agree that the combination of sweet pumpkin and red onion with black beans and a bit of spicy heat made for a delicious filling. 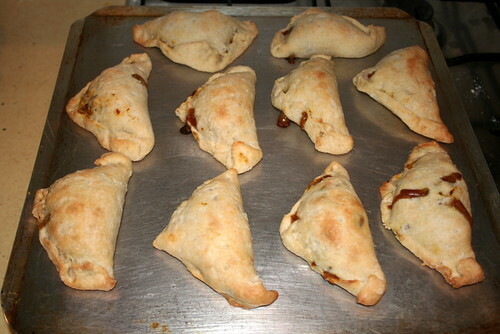 The pastry was simple to make and I'll definitely try these again and experiment with different fillings.